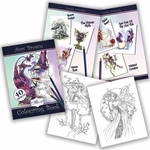 This awesome figurine is a colorful representation of some of Amy Brown's artwork! 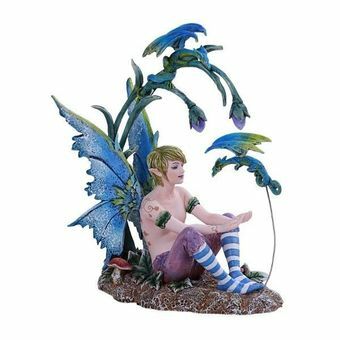 A fairy boy with bright blue wings, violet pants, and striped socks converses with a tiny dragon in matching hues. Another wyvern perches on the flower stalk above them, listening to the conversation. The piece is detailed and eye-catching, the perfect way to add some magic to your decor!